You may download and print these Directions to LGFC as a single page (pdf 100Kb). Directions to Low Gillerthwaite Field Centre, Ennerdale, CA23 3AX - Grid ref. NY139141. PLEASE consider sharing transport as much as possible, and be advised that some of these roads are not very coach-friendly, especially if you meet your alter ego coming the other way!! Coaches not recommended. Best route to Gillerthwaite from the South (A6, M6) or East (A65, A66) is via Keswick (or Keswick bypass). Leave M6 at junction 40 (Penrith) and follow A66 to Keswick, or go through central lakes from junction 36 via A590-A591 to Keswick. From the North (A7, A74, A69) go via Carlisle on A595 to A66, or through Cockermouth and over the roundabout to the A5086 Egremont road and join below at point 3. Bypass Keswick heading for Cockermouth on A66. 12.5 miles from Keswick turn LEFT (South) at roundabout for Egremont A5086. Head south 6 miles - in Lamplugh, turn LEFT (not the 1st Lamplugh Green/Church turn) by row of cottages with street lamp. Signpost: Lamplugh Church/Loweswater 5, streetname CROSSGATES, and public phonebox on left. You're about 30 minutes away now. (Coach drivers see the last paragraph below). From the South Lakes (A595) go to roundabout north of Egremont, then RIGHT (northeast) on A5086 (Cockermouth, Cleator Moor). 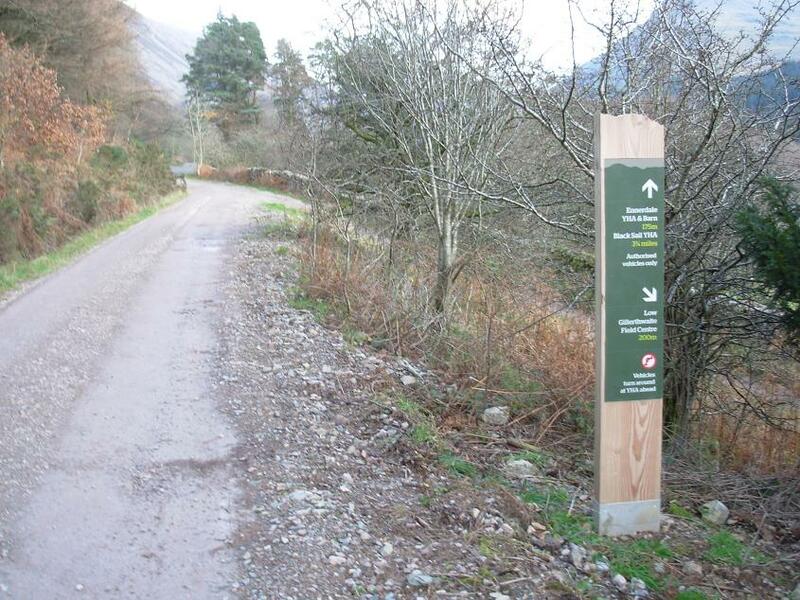 After 8 miles turn right at Signpost: Lamplugh Green/Loweswater 5/Buttermere 11, and a brown Caravan & Camping sign. In half a mile turn SOUTH towards Croasdale and Ennerdale Lake. (Inglenook Caravan Park on your right, with a small shop, if open). Some very sharp bends in the next 2 miles, then down steep hill (Cauda Brow) with more hairpin bends to T-junction. Turn LEFT. Into Croasdale (Crossdale on sign) other road comes from Ennerdale Bridge. Past the final public phonebox on left, follow road round to RIGHT. 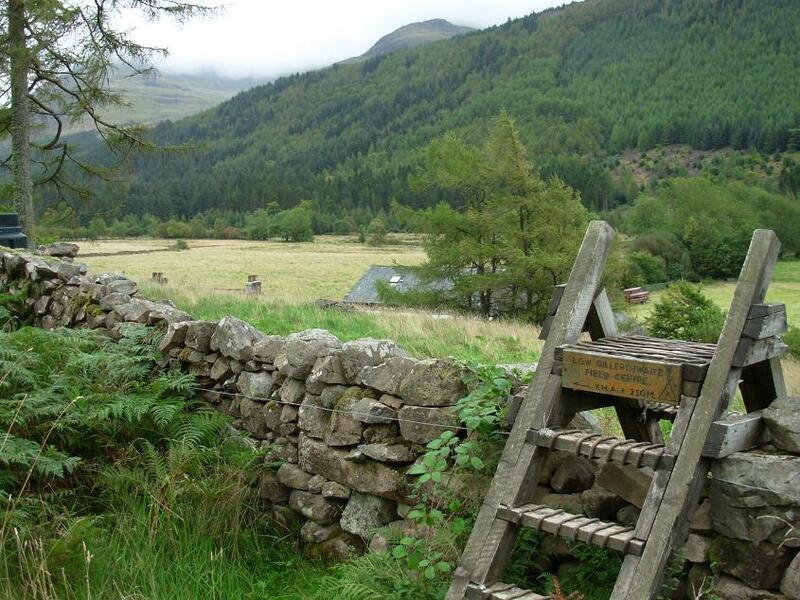 2.5 miles to Ennerdale Forest and lake, over cattle grid, 200 metres to gate. End of public road. (your Sat Nav and phone reception may not be so good here!). Bowness Knott car park on left. THIS IS A WORKING FOREST, and there may be large harvesting and contractors' vehicles operating. Occasionally there will also be other signs and obstructions to watch out for. 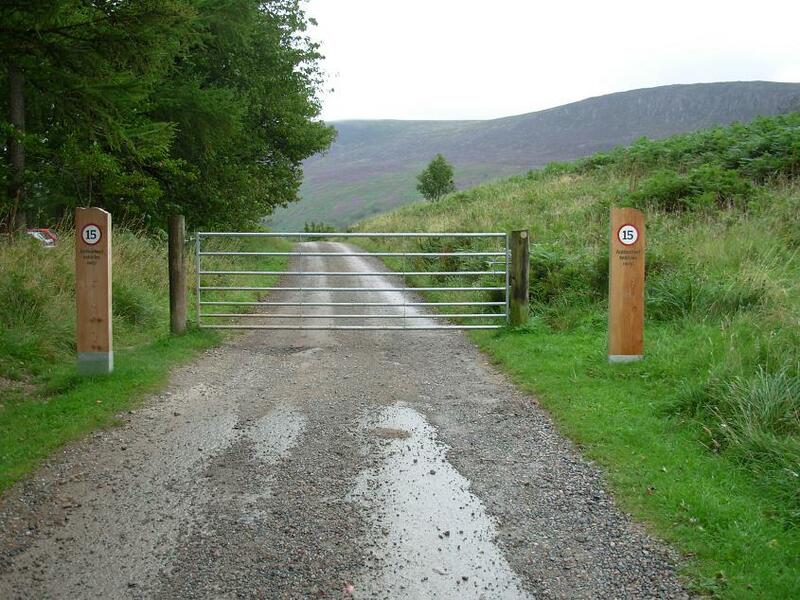 Go through the gate - yours is an authorised vehicle if you are visiting us. (Have some booking info or membership card handy in case you are challenged). Please close the gate and observe the 15 mph speed limit. Rough forest road - mind your exhaust! Watch for pedestrians and don't create too much dust. 2 more miles, then you may be able to see our premises over the stile on your right, but please go another 200 metres to the turning area opposite the YHA (as on Forestry sign), do a U-turn and return to our access track. Bear left down Low Gillerthwaite access track, and seek out the Warden before unloading (the Warden's flat is on the left). You may normally unload into the barn (large black doors on right), then please go through the gap to the car park, and park by the hedge. We do have adequate space, but parking is not permitted on the forest tracks - if you can't find a space, ask the Warden, and we will find one for you! If you are approaching from Cleator Moor or Kirkland via Ennerdale Bridge . . .
. . . from the school in Ennerdale Bridge, follow the signs towards Ennerdale Water and Croasdale (or Crossdale, as one sign shows!). In the next mile, ignore the 2 right turns to Ennerdale Lake and the next right turn marked "Unsuitable for motor vehicles" (very narrow, rough, farm access road). Then after another meandering mile, follow the route above from Croasdale. Large coaches may have great difficulty navigating the sharp bends at Cauda Brow, down the LGFC access track and in our yard. Coach drivers may prefer to stay on the A5086 and take the road via Kirkland and Ennerdale Bridge. Your vehicle may be too long to turn around in our yard or car park - please consult the Warden before you set off. Large vehicles have been known to reverse down our access track before now! Click logo to find Sustrans national cycling routes near Ennerdale.